Reputation on the line? Really? 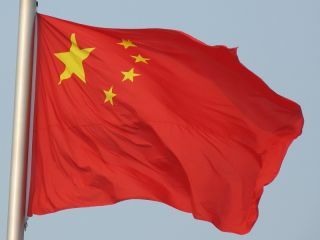 China must provide full internet access to journalists during the Olympics, with inspectors from the International Olympic Committee (IOC) reminding this year’s hosts that they have a contract to fulfil. With journalists complaining that their access had been restricted during the Tibet riots, the IOC have quickly confirmed that China must abide by the terms of their contract in ensuring that web access is offered. Of course, with some sites blocked, including major foreign media sites, by what is often termed the ‘Great Firewall of China’, offering unrestricted access could lead to disagreements over internet management, portrayed by the Beijing authorities as protecting their people. "There was some criticism that the internet closed down during events relating to Tibet in previous weeks – but this is not games time," said the IOC’s Kevan Gosper. "Our concern is that the press is able to operate as it has at previous Games during Games time." Gosper insisted that any internet block would "reflect very poorly" on the host nation. Of course, this is hardly a major threat to China, and it remains to be seen if they are prepared to sully a reputation already fairly tarnished by prior decisions on the restriction of the internet.